Ames, near Saylorville and Big Creek Lakes. By 1883 the Chicago and Nothwestern Railroad and Chicago, Milwaukee and St Paul Railway Company had built a crossing 1-1/2 miles north of Sheldahl with regular trains scheduled. Due to a state requirement a depot was constructed at the crossing’s southeast edge that became known as Sheldahl Crossing. A small settlement began to spring up around the depot. At one time as many as 10 passenger trains made daily stops at this depot. Over the next 5 years approximately 50 homes and businesses moved from Sheldahl to Sheldahl Crossing. These structures were moved in their entirety with the help of circular horsepower. Sheldahl Crossing was renamed Slater and the town was incorporated in 1890. Iowa 50244 for the 1st Avenue North Street Improvement Project. the City of Slater, Iowa at its meeting on March 11, 2019. Council, and be completed as stated below. user to register for a free membership at QuestCDN.com. preference given or required by the state or foreign country in which the nonresident bidder is a resident. public improvement by the state or foreign country in which the nonresident bidder is a resident. driveway removal and replacement, 112 square yards of HMA, Full Depth Patches, and associated work. calendar days after receipt of bids and no bid may be withdrawn during this period. discriminated against on the grounds of race, color, or national origin in consideration for an award. The anticipated Notice to Proceed date is on or around April 01, 2019.
to enter into such contract, or contracts, as it shall deem to be in the best interest of the jurisdiction. This Notice is given by authority of the City Council of the City of Slater, Iowa. Iowa 50244 for the 2019 Street Repair Project. square yards of 3 inch Asphalt Surface Milling and HMA Overlay and associated work. The anticipated Notice to Proceed date is on or around April 22, 2019. HEY!!! In an EMERGENCY, could we reach you??? City staff has completed training so that we can send out “reverse 911” notifications. If you have a land-line listed in the phone book, you are already enrolled unless you have the telemarketer block feature through Huxley Communications. The “dial 1” feature makes those lines not work with the emergency notification system. If you have the block you will need to register another number. Residents with mobile phones only will also need to register those numbers to receive emergency notifications. THIS IS IMPORTANT!! We can’t help keep you safe, should an emergency arise, if we can’t contact you. Help us, help you!! Click HERE to sign up! Need help? Notifications will be for emergencies only at this time and could include water issues or boil orders, chemical spills, etc. We will NOT be sending severe weather information. The city has property for sale. The lot at 400 Main is currently available. If you would like to tour the property or have questions, contact City Hall at 515-685-2531. We have had a few questions about the mosquito fogging. Last year the sparying was done with a thermal fogger. This year it is cold fog sprayer. The cold fog is the same concentration or higher of the same mosquito killing chemical as the thermal (hot) fog, but does not produce as much of a visable “cloud”. Below are details about each type of spraying. A thermal fogger is appropriately named since it is a device that uses heat to produce a fog without degrading the active ingredient. A thermal fogger produces a range of droplet sizes including a large number of very small droplets. The large number of very small droplets produced in a thermally generated fog also make the fog highly visible. If the evening air is cool in contrast to the mist, the thermal fog also be even more visable. A ULV sprayer generates fog droplets by using a high volume of air at low pressure. Such a system enables droplets of a more precise size to be generated. ULV sprayers can dispense formulations in a more concentrated form since less diluent is required. Also, the ability to be able to calibrate the machine to produce droplets of the optimum size for the type of chemical being used make ULV spraying the method of choice whenever possible. Get the information you want by following the City of Slater on Facebook HERE. Get the latest weather related info (pool closings, branch trimming, snow removal), events (lessons, contests, celebrations) and so much more! “In the WORKS…” Public Works and other City updates! STREETS: The City Council is working on a list of items to include in a bond that will be issued next year. The main focus is streets! We are prioritizing a list of streets and curbs that need to be resurfaced and replaced. This bond will take the place of the current bond that will be retiring next year. The council is planning the timing of the new bond so that the bond payments will not overlap the existing bond payments. The goal is that a project can be selected, planned and financed at the same rate as the current bond so that taxes will not need to be increased. SEWER PROJECT: The City of Slater is working with it’s engineers on a significant change to the City’s sanitary sewer system. In 2013 the EPA passed the Nutrient Reduction Act. As a result the Iowa DNR has made changes to the permit requirements for sanitary sewers across the state. Permits are renewed approximately every 5 to 10 years. Some of you may remember when the City installed the aerators in the lagoons in the early 2000’s. That upgrade was due to a change in the permit. The City funded that upgrade with a bond from the Iowa Finance Authority that is scheduled to be paid off in 2023. The DNR has issued the City of Slater a new permit. Among other items, the new permit specifically addresses ammonia levels and the limits that must be met to avoid penalty. There are a limited number of treatment processes that can remove the ammonia to meet this new standard. The City’s only viable option is to build a wastewater treatment facility. Several types of facilities would meet the limits, but a DNR regulation requires the City to choose the facility that will produce the best result if the estimated cost of the project falls within 115% of the lowest cost option. Under this stipulation, the City will be required to build a “SBR” mechanical treatment plant at an estimated cost of $6.6 million.The City Council and staff have had many meetings with our engineers and the DNR regarding this project. We have asked many, many questions and proposed all sorts of options in the hopes of finding a solution other than to build a plant of this extent and have been unable to find an alternative. In August the City was presented with acceptable options and their associated costs. In order to have a plant designed, bid, constructed and operational by the DNR deadline of September 1, 2019, we must start making plans for this facility. Not meeting the deadline can result in fines starting at $10,000 per day. The plant will be located in the same area as the current lagoon and will use 2 of the lagoon’s current cells as flow basins. The city will apply for all available grants, but will plan for the worst case scenario until funds are awarded. Bonds for the new facility will likely start requiring some repayment in December of 2019. The City Council has discussed paying off the existing bond early so that the City would not be making payments on both at the same time. Bond payments will need to increase from approximately $96,000 per year (current) to $205,000 per year to have the existing bond paid off by June of 2019. This is still less than the expected annual payments for the new bonds. 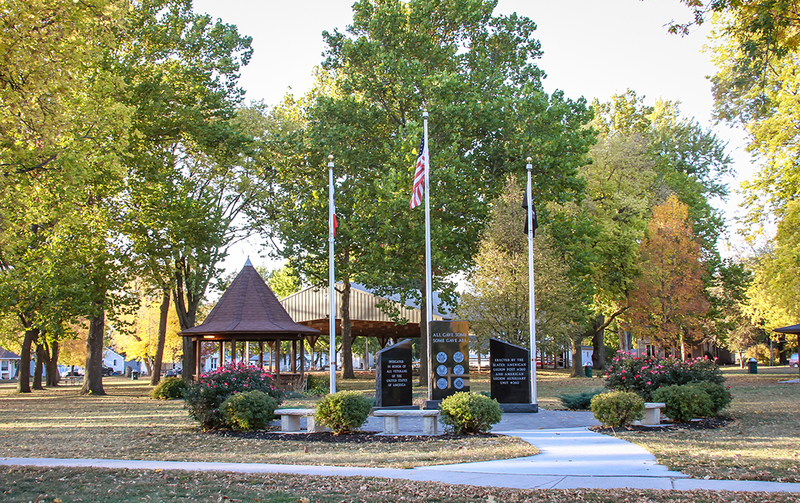 If the City receives no grants for the new project, the annual bond payments will be approximately $407,000. The City of Sheldahl, being a significant user of our sanitary system, will be responsible for a portion of this cost unless they construct their own sanitary system. The City Council and staff has had significant discussions regarding utility rates. We understand the importance of keeping the cost of living reasonable in Slater. We have not raised the City’s portion of property taxes in 10 years and have applied for grants across a wide variety of projects. Those grants have allowed us to do projects that otherwise would not have been funded. The City Council also refinanced the City’s current General Obligation debt (not water or sewer related) several years ago to take advantage of lower interest rates. Those bonds will now pay off 2 years earlier than originally scheduled. The City currently plans to draw new bonds once those are paid off that will fund a major street resurfacing project. As a first step the City Council will be holding readings in October and November to increase the sewer rates starting December 1, 2016. The connection charge will be increased from $10.50 to $21.00; and the charge per 100 cubic feet will increase from $3.83 to $4.50. This will help repay the existing sewer bond by the end of 2019. This is a big project for the City of Slater and we understand that you may have questions or concerns. We invite you to stop into City Hall, give us a call, send us an email or attend a council meeting. The City is working with a group from Iowa State University to determine if the city wants/needs a community center and if so what should be included, how much can we afford and how can it be financed. A public meeting was held on March 30th at Ballard West Elementary. Click Slater forum report for a summary from this meeting. The City of Slater received another grant from Story County to continue the Main Street sidewalk project. This summer, the sidewalk will be replaced on the south side of Main street in the 300 block (Marshall to Tama). The east side sidewalk and curb has been completed to the alley. Work is underway on the Main St. side. Pillars have been poured for the new street lights and sidewalk replacement is underway. The sidewalk is being replaced all the way from Marshall to Tama. Curb will follow with construction happening on the east end first. Please be careful in this area as it is always busy and there is even more going on there with the construction! When finished the sidewalks will surround the street light pillars creating handicapped access for the parking spaces in between. The Senior Center is had facelift! Public works removed the paneling and are installed new drywall. The ceiling tiles were replaced and new lights installed. The carpet was also removed and replaced with vinyl floor covering. The City of Slater applied for a grant from Story County and was awarded funds to replace the sidewalk, curb and entry into City Hall. The new sidewalk runs from Main St south to the alley and has a new street light and handicapped accessible ramps at the crosswalk and to the building. The City hopes to continue this type of sidewalk renovation projects through all of downtown Main Street. The City of Slater unveiled its new logo, slogan and website! “Small Town, Big Community” describes this town perfectly! The website has been redesigned and is mobile device friendly. 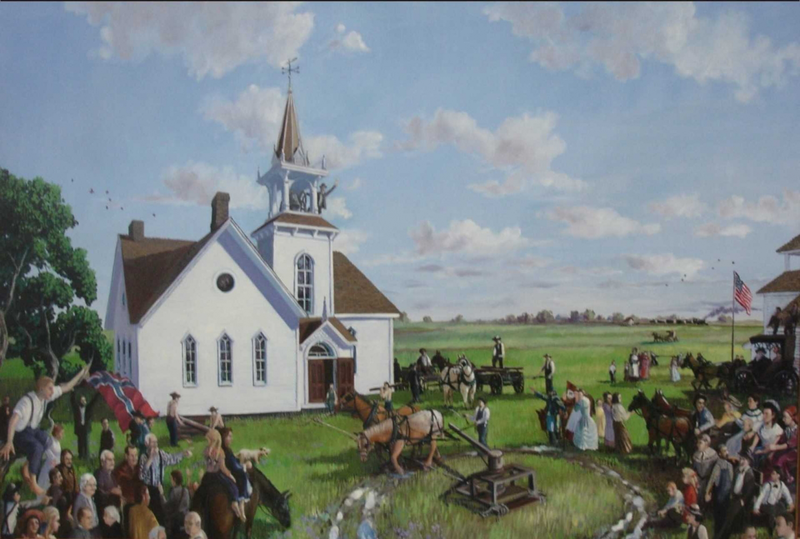 Slater Community Club is a non-profit organization that promotes Slater by organizing city-wide events and activities. All residents are automatically considered members! Anyone who is interested in the City of Slater, regardless of residency, is invited to attend the monthly meeting held on the 3rd Thursday at 7:00 PM at the Log Cabin. 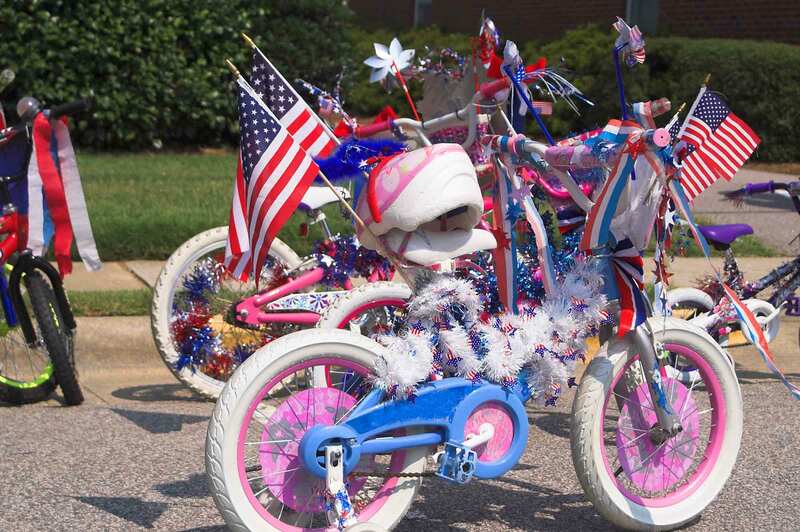 Volunteers are always welcome to help with events such as the 4th of July Celebration. Check out Slater Community Club on facebook for current happenings! a sanctuary of peace an quiet today. is worth living and remembering – always. The Slater Cemetery is a place of order, safety, neatness, and beauty. The following fees are, as of April 2007 and may be subject to change with out notice. Burials: 1 casket or 2 urns may be placed in 1 burial space. Grave Openings: Casket openings must be arranged and paid for through a private company. The city will open the burial space for an urn upon request at a cost of $100. Single niche: $200.00 plus opening fee. Niche: The inside niches is 12″x 12″ x 12″. The suggested size for urns is 9″ x 4.5″ x 8″. Also recommended that if you plan on 2 urns in the niche that you buy them both at the same time to ensure proper fit. Cemetery Board meetings are held on the 2nd Tuesday in January, April, July and October at 6:30 pm at City Hall. Click HERE for the cemetery directory. The Senior Center is available for rent. It has a full kitchen, 2 bathrooms and can hold approximately 30-40 people. Call City Hall at (515) 685-2531 to make a reservation. The Log Cabin is available for rent. It has a full kitchen, handicap accessible bathroom and can hold approximately 50-60 people. Lawn clippings, outside flowers, garden plants, bushes, trees (not lumber), dirt, sod and leaves. For brush that we can take with yard waste pick up at curb there is an extra charge. Brush needs to be bundled up in 5′ length and 2′ in diameter. Great opportunities are available for businesses, exciting new business incentive packages available! Call City Hall at (515) 685-2531 for details! Ballard Business Alliance is a group of business owners working together to promote “buy local” activity with the Ballard area. Click HERE for their facebook page. Iowa One Call Call 48 hours before you dig! It’s the law! Zoned C-1 and located in the middle of downtown the lot is 25 feet by 142 feet. Zoned C-1 and located in the middle of downtown. Currently 2 separate buildings, but could be combined into 1. Submit a bid and business plan if interested to city hall by 5pm on December 5th 2018. Contact City Hall at (515) 685-2531 for more details! 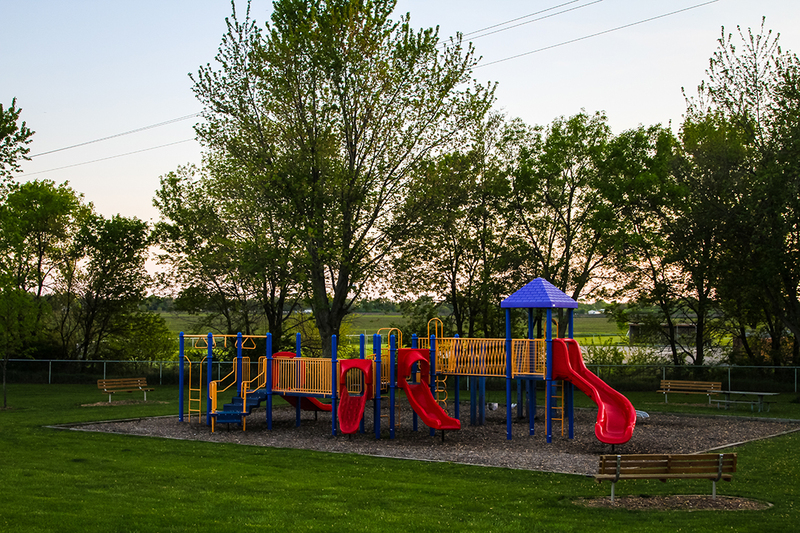 The Slater Parks and Recreation Board has a mission of providing opportunities for recreation and relaxation in the way of programs and facilities for all citizens of Slater and the surrounding communities. Our Parks are Tobacco-Free. Please read the Policy. WHEREAS the City of Slater Parks and Recreation Board care deeply about promoting the good health and quality of life of its citizens and visitors; and WHEREAS recreational facilities offer an environment where young people are being encouraged and coached by adults to do things beneficial to their health. Tobacco use in and around recreational facilities and on the grounds by older youth and adults creates negative role modeling for young people by promoting an atmosphere where tobacco use is socially acceptable and at the same time adversely affecting youth as the result of exposure to secondary smoke; and WHEREAS the mission of the City of Slater Parks and Recreation Board is to provide recreational opportunities that enhance the quality of life for its citizens, provide safe environments, and to discourage those activities which it deems contrary to this mission; and THEREFORE the City of Slater Parks and Recreation Board respectfully requests that there be no use of any tobacco products, including, but not limited to cigarettes, cigars, snuff, dip, and chewing tobacco, on, in or at these facilities or on the grounds. The City of Slater Recreation Department further requests that all who arrange to use these facilities agree to promote this tobacco-free policy by putting this information in brochures and any promotional materials. Minimum donation of $25 per day. The Log Cabin is available for rent. It has a full kitchen, handicap accessible bathroom and can hold approximately 50 people. 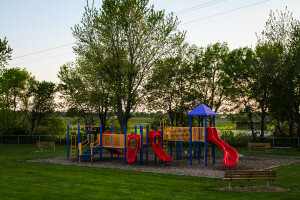 Earl Grimm Park contains a 25-meter swimming pool, a bathhouse, a concession stand, a shelter house for picnics, a sand-filled volleyball, kids playground equipment, a little league baseball diamond/adult softball diamond, and 3 tennis courts. 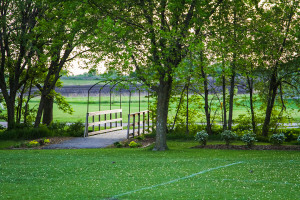 There is a lot of open area for picnics, playing Frisbee, and other recreational activities. There are also some nice planters in the park maintained by the Slater Garden Club. Nelson Park is a long-established park with large mature trees. It has a gazebo, playground equipment, a shelter, a large number of picnic tables, and a stage. The Slater Log Cabin is located in Nelson Park. The Log Cabin is heated in the winter and air conditioned in the summer. It has a large dining/meeting room, a kitchen, and bathrooms. Groups and families use it for civic meetings, reunions, and parties. Nite Hawk Field is a professional quality baseball diamond. Professional teams did play there for several decades. It is now the home field for Ballard High School. It is in use every day during the summer for high school, junior high, and Babe Ruth League games. Southside is one of the newest parks. 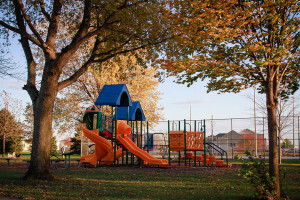 It contains playground equipment, several soccer fields, and a diamond that is used for girl’s softball. 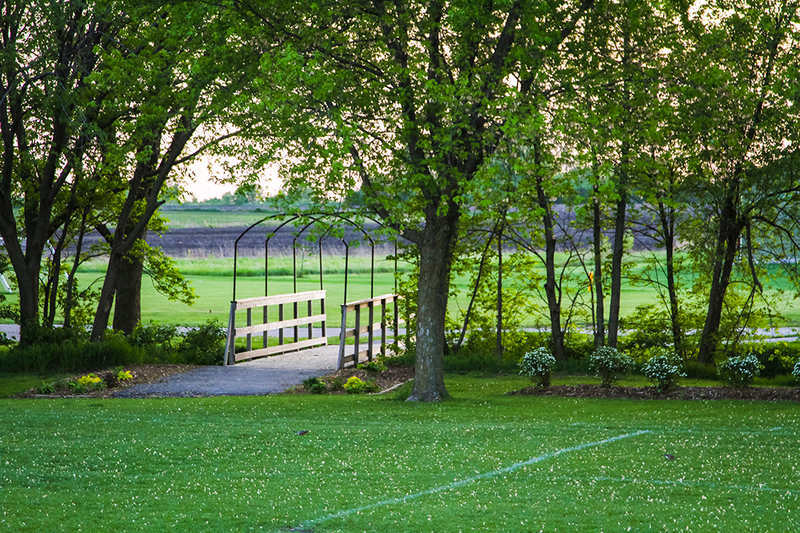 The Trailhead and Arboretum is the jumping off place for the Heart of Iowa Trail. This trail goes from Slater to Melbourne. The trailhead has parking, Kybos, and facilities to load and unload horses. It is adjacent to the new Ballard Elementary School, which has superb playground equipment and a baseball diamond. 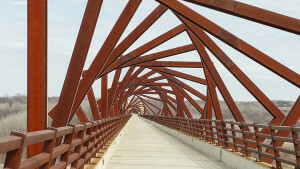 More information on Iowa Bike trails can be found Here. The Pool will open to the public on June 1st. Will be open daily from Noon to 7pm 7 days a week. Our last day for 2018 will be August 18th. During group sign up at City Hall on April 24th,25th and 30th from 5:30 – 7:00 pm. The pool will not open if the air temperature is below 70 degrees unless specifically stated, and it will close if the air temperature falls below 70 degrees. If the weather is cool, each swimmer must use his/her own discretion whether to pay admission and chance swimming for a short time. No refunds will be given under these circumstances. If thunder or lightning occurs, the pool will be cleared immediately. We will wait it out for 30 minutes and if weather permits you may re-enter the pool. No refunds will be given under these circumstances. Swimsuits are required. Swim diapers will be required for anyone who is not toilet trained, and will be available for purchase at the pool. Regular baby diapers will not be allowed in the pool. Rent our pool for your exclusive use. A great idea for birthday parties, neighborhood parties, church groups, or civic organizations to enjoy healthful and wholesome fun. The pool may be rented Friday, Saturday and Sunday evenings, after normal closing hours (from 7:00 to 8:30 pm) or any morning when lessons are not in session (9:00 to 11:00 am). Please fill out the Pool rental agreement and return it to City Hall. Registrations will be accepted at City Hall beginning May 1st during regular business hours. All sessions will meet Monday – Thursday for 2 weeks. Fridays will be used only for rain make up if necessary. Mommy & me evening classes available for those under 5 years old. The City of Slater also reserves the right to cancel or combine classes due to lack of enrollment. Class enrollment is limited in order to provide the best learning environment. Registration for each class is on first come, first served basis. You must have a completed form and the enrollment fee turned into city hall to be placed on a class list. Children enrolling in lessons must be 5 years old by the first lesson or approved by a manager. Review the skills listed for each class. Can your child complete all of the skills listed? Confidently wade into shoulder-deep water alone? Open his or her eyes underwater? Blow bubbles through his or her nose and mouth? Go from front float, to back float, and back to front float again? Put his or her face in the water freely? If you answered “no” to any of these questions, your child is just right for Level I. Jump into chest deep water alone? Submerge his or her entire head easily? Maintain a back float for longer than 5 seconds without help? Swim on his or her front with combined arm and leg action? Swim on his or her back with combined arm and leg action? If you answered “no” to some and “yes” to some of these questions, your child is just right for Level II. If you answered “no” to most of these questions, your child is just right for Level I. Jump into deep water unaided? Dive from the sitting or kneeling position? Retrieve an object from a depth greater than your child’s height? Swim the front crawl with alternate breathing (breathing on both sides)? Swim the butterfly kick (short, fast, dolphin dives)? Glide on his or her front with two different kicks? Glide on his or her back with two different kicks? Tread water for a minute? If you answered “no” to some and “yes” to some of these questions, your child is just right for Level III. If you answered “no” to most of these questions, your child is just right for Level II. Dive from a standing position? Swim underwater at least 15 yards? Back float for two minutes? Tread water for three minutes? Swim on his or her side with the scissor kick? If you answered “no” to some and “yes” to some of these questions, your child is just right for Level IV. If you answered “no” to most of these questions, your child is just right for Level III. Perform a shallow dive and glide into the front crawl? If you answered “no” to less than three of these questions and “yes” to the rest of these questions, your child is just right for Level V. If you answered “no” to three or more of these questions, your child should try Level IV. Ballard Sharks Swim Club is a competitive swim club open to the youth in and around southern Story, north Polk, and eastern Boone Counties. Our home pool is in Slater. This program will enable swimmers to learn about competitive swimming at practices and meets through quality coaching, improved stroke and racing techniques, team spirit, and team friendships. Registrations are due to City Hall by June 1st! Slater residents! All participants who live inside the city limits will be eligible to receive a $20 rebate per child from the city. Stop in or email city hall at slateriowa@huxcomm.net if you are interested in receiving your rebate. The request must be in written form and include the player’s name, parent’s name, address and which sport and level he or she participated in. Requests must be submitted no later than June 1st for spring 2018! There is no Nite Hawk team for 2016. Please check back next year! Registration for the 2016 Spring Soccer season ends on January 19! Sign up now! Go to www.ballardsoccerclub.org to register. The council meets on the 2nd Monday of each month at 7:30 at City Hall unless otherwise posted. Agendas are posted at City Hall and the Post Office at least 24 hours before each meeting. Meetings are open to the public unless otherwise posted. Click HERE to see the minutes of previous meetings. The City Code of Slater, Iowa is a rather large document. Hard copies are located at City Hall and the Slater Public Library and may be view during any open hours. If you choose to open the version linked below, it is recommended to first view either the table of contents or the index to find the approximate page number or chapter of the topic you are looking for. You can also use search by using “control-f” to bring up a search bar, entering the word or words that you are looking for and it will highlight them in yellow within the text. This is not suggested for common phrases. Monthly meetings are held on the 4th Thursday at 7:00 pm at the Station. First Responders are a volunteer group that offers emergency medical assistance to the residents of Slater, Sheldahl surrounding rural areas. Monthly meeting are held on the 2nd Sunday at 6:30pm at City Hall. Our town depends on volunteers to respond to medical emergencies. Small communities are shorthanded, especially during normal work hours. Please consider taking the training and becoming a First Responder today! Apply for a job with the City of Slater? See the NEWS tab for current openings. Follow the instructions listed for the opening or download the Employment Application HERE, and return it to City Hall. 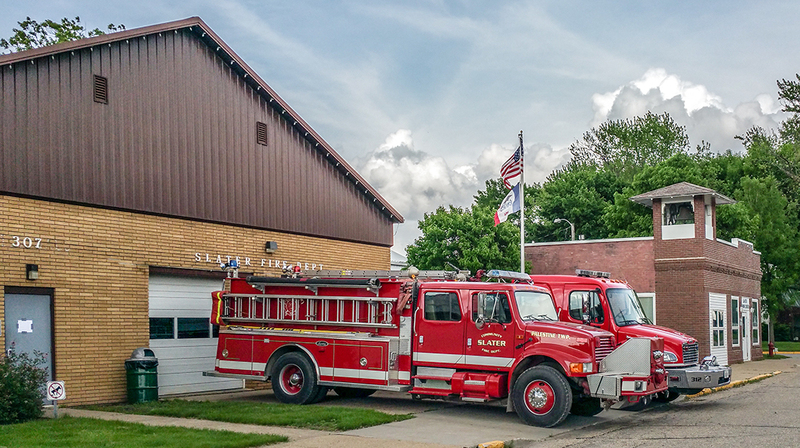 The City of Slater provides water and sewer service to residents. A water/sewer deposit is required. The deposit is $100.00 and is payable in the City Clerk’s office at City Hall, 101 Story Street before service may begin. Find out about the quality/condition of Slater’s water? Download the Consumer Confidence Report by clicking HERE or view the report at City Hall. Lawn clippings, outside flowers, garden plants, bushes, trees (not lumber), dirt, sod and leaves. Understand how hard is the water in Slater? If you are trying to set up a water softener in the City of Slater, this answer is for you. The range tends to be between 10-12 grams. Start with 10 and work up if necessary. Voting is held at the Log Cabin. Comply to the Slater snow ordinance? From November 1st to April 1st the snow ordinance is in effect for all streets and alleys in the City of Slater. “No person shall park, abandon, leave, whether occupied or not, any vehicle on any public street or alley during any snowfall and for 24 hours following the cessation of snowfall“. Notify someone if I notice a streetlight is out? 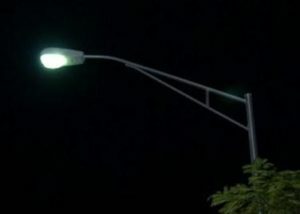 Call Alliant Energy at 800-822-4348 and give them the location of the streetlight that is out or contact city hall or click HERE to report a street light out. Recycle my Cans and Bottles? Slater has a voluntary drop-off recycling program. Cans and bottles may be returned to the wooden structure located at Ballard West staff parking lot on the northwest side of the building. Proceeds benefit Slater Parks and Recreation. Glass recycling is offered at the same location in the yellow dumpster. All types of glass accepted including bottles, jars, bulbs, windows without framing, etc. What to do with tree limbs and branches? The city will collect tree limbs on specified days between April & October and after major storm events. Watch for announced days on Facebook and on the calendar page. Branches can not exceed 10″ in diameter. Longer lengths are preferred. Drop off branches at the City lot on the corner of 1st and Greene on specified days and times. Otherwise you may burn organic materials on your own property. Get a building permit? Do I need one? Permits are needed for the construction of ANY permanent structure or structural change on your property including fences. A permit is also required for demolition. Permit applications can be picked up at City Hall or printed from the links below Fees vary based on the building project. If you have any questions please contact City Hall for details or pick up an application at City Hall, 101 Story Street. Get a Peddlers Permit? Do I need one? Permits are needed for anyone wishing to solicit within the City of Slater. Door-to door permits are $50, street vending is $10. Please complete the following application and permit and submit to City Hall with all required information and allow 7 to 10 business days for approval. Approved peddlers will be required to carry their permit (must have embossed City Seal) while soliciting. The Senior Center is available for rent. It has a full kitchen, 2 bathrooms and can hold 30-40 people. PLEASE read the form in its entirety (rules and cancellation policy) and return to City Hall. The number is 685- and is answered daily during the swimming season (June – August) between the hours of noon and 7 pm. More pool information can be found by clicking on the Parks & Recreation section of this website. What is Slater doing about selling Fireworks?